This agreement is valid upon the Mission Youth National Directors approval set-forth and dated below. 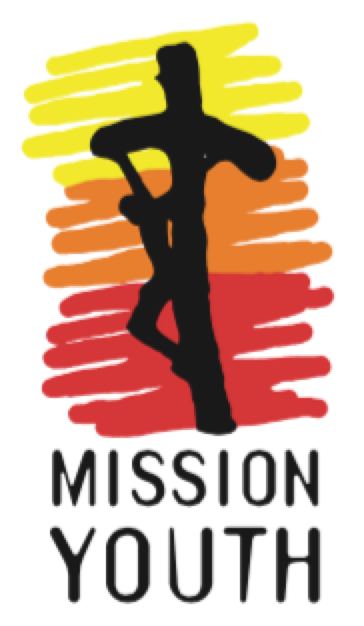 Mission Youth grants the Institution with the rights to use the trademarked and copyrighted Mission Youth name, logos and any related materials for local promotion and fundraising for the duration of September 1, 2018 through August 31, 2019 for any Mission Youth events and activities and the operation of missions throughout the year. Mission Network Programs USA, Inc. (“Mission Network”) is the owner of various Trademarks, Service Marks and copyrighted materials that represent the goodwill, work product, and reputation of the company. Mission Network’s intellectual property includes but is not limited to the following: MISSION YOUTH and MISSION YOUTH LOGOS (collectively the “Marks”) as reflected in Exhibit “A” annexed hereto and incorporated by reference herein as well as written materials/manuals (“Materials”) subject to this same sublicense. Mission Network hereby grants a limited non-exclusive right to use the Marks and Materials for operation and promotion of Mission Youth program activities by Sub-Licensee solely pursuant to the terms and conditions provided in this Agreement. The Mission Youth program activities include any mission type activities and events throughout the year. A separate online registration must be completed for any overnight activities or events directly though RC Activities, Inc. at RCActivities.com, and international missions by contacting the Mission Youth national office or registering online. Use by any person or institution other than Sub-Licensee is not authorized and constitutes an infringement of Mission Network’s exclusive rights in the Marks and Materials. To be able to use Marks and Materials pursuant to this Agreement, Sub-Licensee must accept the terms and conditions of this Intellectual Property Sublicense Agreement and execute this Agreement without modification. The Mission Youth Guiding Principles, Core Values and Code of Conduct must be adhered to and strictly followed for any and all missions, activities and events represented under Mission Youth. Sublicense Grant: Upon acceptance and execution of this Agreement and receipt of payment/consideration in the amount of two-hundred fifty dollars ($250.00), Mission Network grants to Sub-Licensee, and Sub-License accepts, a limited non-exclusive, nontransferable, royalty-free, revocable Sublicense (“Term”) to use the Marks and Materials solely for the operation and promotion of its own youth activities consistent with the Materials and program which shall end/expire on August 31, 2019 for the Term of this Sublicense or until it is revoked by Mission Network, Sub-Licensee may brand its activities as “Mission Youth” and use the Marks to promote all Mission Youth program activities and conduct only daytime activities or events noted in this agreement. Sublicense does not extend or cover use of Marks, name or logo on any self-produced merchandise which is expressly and solely reserved in Mission Network. A blanket discount of 20% off of all Mission Youth mission materials on the online store is provided as part of this annual agreement. No other rights, title or sublicense is granted hereunder. Nothing in this Sublicense shall give Sub-Licensee any right, title, or interest in the Marks or related Materials, other than the limited, non-exclusive, revocable Sublicense granted herein. Sub-Licensee shall not assign nor attempt to assign, transfer or Sublicense this Sublicense (or any right granted herein) without the prior written consent of Mission Network and the Mission Youth national office and any such effort shall be null and void. Sub-Licensee agrees not to use the Marks in any way that would disparage or injure Mission Network’s reputation for high quality or that is not expressly approved in writing in advance by Mission Network. Sub-licensee hereby further warrants and certifies that it will not fundraise or otherwise misrepresent itself as Mission Network or any of Mission Network’s affiliates and shall only fundraise under its own corporation making it clear in any solicitation campaign that it is only a Sub-licensee of the Marks and Materials; Sub-Licensee shall not do anything inconsistent with Mission Network’s ownership of the Marks, such as filing or cooperating in any form with the filing of a trademark application anywhere in the world now or in the future of any mark(s) even remotely similar to the Marks; this covenant and warranty by Sub-Licensee shall survive termination of this Agreement. Mission Network must in all instances be clearly identified as the owner of the Marks on all Materials for use by Sub-Licensee. Sub-Licensee shall mark its use of the Marks with the service mark symbol SM or registered mark symbol ® as appropriate and defined in Exhibit A. Once marked, it is not normally necessary to mark subsequent appearances of the Mark in the piece. Sub-Licensee shall include the appropriate Mark attribution in reasonably close proximity to its first use of the Marks in any document or on a screen display, or in a location to which users are directed for statements concerning the ownership of intellectual property rights in Mission Network. In any place where they appear together, the Marks and any associated text must be at least as large as the trademarks and text of other vendors. Sub-Licensee shall not alter the Marks in any way. Sub-Licensee shall not integrate any Marks into any of Sub-Licensee’s own trademarks, logos, or designs, nor may Sub-Licensee use any marks or logos that are confusingly similar to any Marks. The Marks may not be used to indicate any kind of endorsement by Mission Network, its affiliates, successors or assigns, or official status with respect to Mission Network like joint venture, partnership, etc. This is NOT a joint venture or partnership between Licensor and Sub-Licensee; instead, it is a straight limited sublicense agreement. Mission Network shall have the right to inspect Sub-Licensee’s use of Marks on advertising and promotional materials to determine compliance with the terms and conditions of this Agreement. Sub-Licensee will, upon request from Mission Network, immediately provide samples of any advertisements, promotional materials, or web sites that include the Marks. Sub-Licensee hereby releases and shall defend, indemnify and hold harmless Mission Network, its directors, officers, employees, agents, and attorneys against any and all losses, liability, damage, costs, and/or expenses(including reasonable legal fees in enforcing this indemnity provision) arising out of any and all claims or suits, whatever their nature and however arising, which may be brought against Mission Network because of Sub-Licensee’s use of the Marks and/or any Materials displaying the Marks provided by Mission Network including but not limited to any fundraising liability, tax liability or any civil liability. In no event shall Mission Network or its directors, officers, or employees be liable for damages of any kind or form (incidental or consequential) arising from or relating to the Sub-Licensee’s use of the Marks or Materials displaying the Marks, including but not limited to economic damages and lost profits, regardless of whether Mission Network shall be advised, shall have other reason to know, or in fact shall know of the possibility of the foregoing. This indemnity obligation of Sub-Licensee shall survive termination of this Agreement and have no limit in time or amount. Mission Network makes no representation or warranties of any kind respecting the Marks or Materials, including the validity of Mission Network’s rights in the Marks in any country, and Mission Network further disclaims any and all implied warranties that might otherwise arise by Sub-Licensee’s use of Marks or Materials displaying Marks. All administration of youth activities conducted by Sub-Licensee using Marks or Materials pursuant to this Intellectual Property Sublicense Agreement (ie. collection of fees, use of permission forms, insurance, accounting, payment of expenses/taxes, etc.) shall be the sole and exclusive responsibility of Sub-Licensee. Sub-Licensee hereby agrees to release and indemnify Mission Network , its directors, officers, agents, etc. from any and all costs (including taxes, etc. ), expenses, claims, injuries or damages which stem from its use of Marks or Materials pursuant to this Agreement; this indemnity obligation of Sub-Licensee shall survive termination of this Agreement and have no limit in time or amount. Parties agree that this Sublicense to use the Marks and Materials is revocable at will by Mission Network to protect its intellectual property. In the event Mission Network revokes Sub-Licensee’s right to use the Marks, Sub-Licensee will be given ten (10) days to remove the Marks from advertisements, promotional materials, and web sites and shall not use the Marks any longer. Sub-Licensee hereby agrees to abide by Mission Network’s right to revoke the sublicense at will and if it fails to do as stipulated in this section, Sub-Licensee agrees that it will be difficult to quantify loss or damage to Mission Network so hereby agrees to pay Mission Network liquidated damages in an amount to be assessed by Mission Network and immediately return all Materials provided to Sub-Licensee pursuant to this Agreement. This Sublicense shall be governed by and construed in accordance with the laws of the State of Georgia. Any dispute arising out of this Sublicense shall be brought in, and the parties hereby consent to jurisdiction and venue in, the state and federal courts of the State of Georgia. Mission Youth Logos as listed below or any variations/colors approved and provided by the Mission Youth National Office. No deviation or modification is authorized, unless approved in writing from the Mission Youth National Office. I have read, understand and agree to all the terms and conditions contained within this license agreement.